When you can’t find the words to say, write them down instead…that’s something that you always told me, something that saved me from my own thoughts on more than one occasion during our years together. You were the geeky guy…the guy who didn’t just sweep me off my feet on the first day we met, but the guy who stole my heart, too. Now the day I always thought of is here before me and I can’t find the words to say, so I’ll do what you told me to and write from my heart. Wyatt Epson, do you remember…? 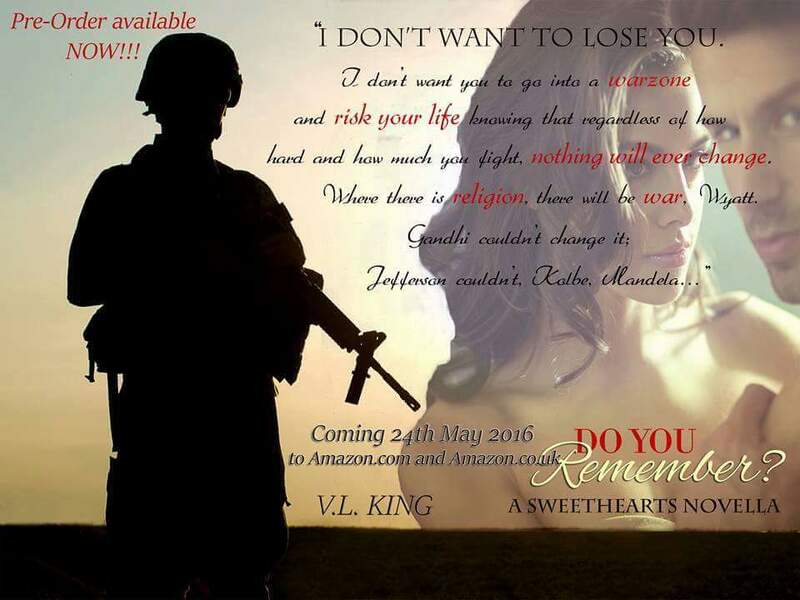 This entry was posted in Release Blitz, Romance, Romantic Suspense and tagged do-you-remember, military-romance, romantic-suspense, v-l-brock, v-l-king.